California has had three consecutive years of below average rainfall and most reservoirs are far below their designed capacity; for a state with a growing population with limited water resources this is alarming news that has many politicians, officials and residents worried. This winter was especially mild; nice for bragging to friend back East about how gorgeous the weather is during a polar vortex spell, but horrible for the snow pack and accumulation. Most of California’s water originates for the snow pack in Western mountains ranges so this drought is expected to get worse this summer. The major urban areas have limited local water resources so they draw water from large area to bring in sufficient water for these burgeoning metropolitan regions. 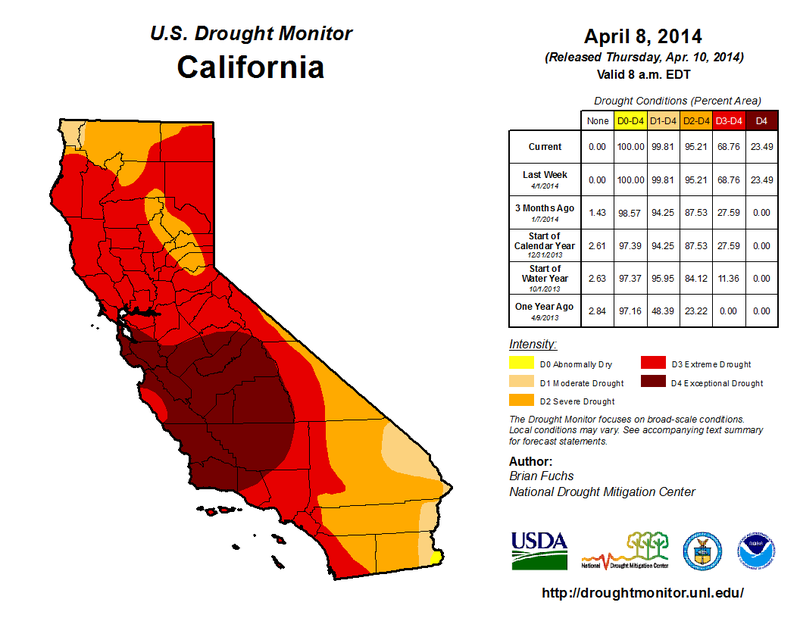 Questions to Consider: What are some reasons (both from human and physical geography) for this severe drought? What can be done in the short-term to lessen the problem? 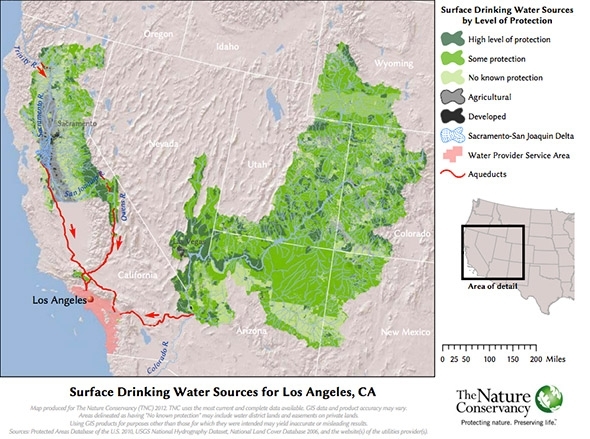 What can be done to make California’s water situation better for the next 50 years? Tags: physical, weather and climate, consumption, California, Los Angeles, water, environment, resources, environment depend, urban ecology.